The compact crossover shows no signs of slowing down as America’s favorite choice for transporting families, cargo and more in style and comfort. Combining the rugged design elements, improved all-weather handling and higher ground clearance of an SUV with the smooth ride of a car, crossovers have become the go-to option for families and individuals alike. 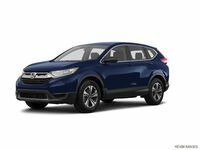 Within the compact crossover segment, drivers continue to choose the Honda CR-V as a prime example of the safety, comfort and convenience offered by the best vehicles in the class. Honda continues to model this with the 2018 Honda CR-V! Looking to take passengers and cargo along for a safe and comfortable ride? The 2018 Honda CR-V combines convenience, safety and performance, giving you peace of mind for all time spent between A and B. 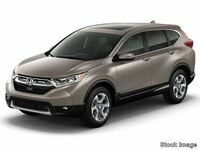 Shop our entire Honda CR-V inventory now! Test-drive a 2018 Honda CR-V near Atlantic City NJ today! With its brilliantly-engineered 1.5L turbocharged 4-cylinder engine, the 2018 Honda CR-V is able to achieve mileage of 28 city / 34 hwy /30 combined MPG* without sacrificing any of its 190-horsepower. The larger 2.4L naturally-aspirated 4-cylinder engine achieves just slightly lower fuel economy and horsepower. Seemingly derived from a continued priority on automotive safety, the 2018 Honda CR-V gives drivers the available Honda Sensing™ suite of safety and security features. Honda Sensing™ provides several driver-assist and semi-autonomous driving features that make city and highway driving safer than ever before. Lane Departure Warning – Lane Departure Warning senses any drift out of the current lane of highway traffic and works to alert the driver. Whether the reason is drowsiness, distraction or anything else, Lane Departure Warning adds one more layer of safety. Lane Keeping Assist System – Should you fail to head the indicator from Lane Departure Warning, your 2018 Honda CR-V is able to gently steer you safely back to the center of the lane of traffic. Road Departure Mitigation System – Like Lane Departure Warning, Road Departure Mitigation is another feature that helps keep all four wheels on the road. Should your 2018 Honda CR-V begin to drift off the road, tactile, audio and visual feedback warn you. Corrective steering is available for Road Departure Mitigation as well. Collision Mitigation Braking System™ - If your 2018 Honda CR-V senses a likely collision, it is able to apply braking to prevent, or minimize the severity of, an impact. Adaptive Cruise Control – Adaptive Cruise Control changes your set cruise control speed to ensure a safe following distance at highway speeds. The 2018 Honda CR-V is safe, comfortable and technically-advanced. You have to see it for yourself! Test-drive a 2018 Honda CR-V today! Click here to get more information on the 2018 Honda CR-V! 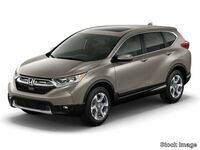 Interested in a Honda CR-V? In this blog, we take a look at the engine options that are available on the Cr-V. Unlike many other vehicles in its class, Honda offers a choice of engines to make sure every driver has a CR-V that works for them. This article looks at the 2017 CR-V but the engine options carry through to the 2018 model!